You are here : Big Data Analytics News » Analytics » The 10 Insanely Useful Internet Of Things Products You Must Try! The 10 Insanely Useful Internet Of Things Products You Must Try! Internet of Things (IoT) is the next frontier in technology and the core component bringing industrial revolution across the globe. It is entirely redefining how we use apps, devices and how people interact and connect with each other. It is turning everyday objects into data collecting gold. Internet of thing (IoT) is gaining the foothold in the international lexicon of technology. 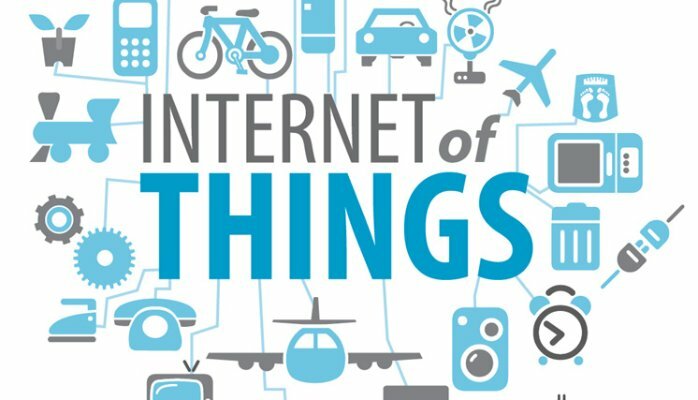 The term IoT can be defined as the growing number of objects that can connect to the internet and communicate with each other. An era of connectedness is nearing us with smart homes, smart cars, smart gadgets and even creative enterprises. This advancement will touch all areas of our work and life and will create an ultimate connected experience. The concept of IoT means the modern day consumers will have an unprecedented amount of convenience and comfort because they will be able to enjoy smart living. The emergence of IoT is increasing customer expectations, and technology innovators are continually striving to meet this ever-changing demand. Everyone is gossiping about the Internet of Things….but how it is going to change our lives? Today we are on the path to embracing this game changer in our everyday life. Internet of thing is creating a new world a quantifiable and measurable world where people and business would be able to manage their assets in better-informed ways. It will help in making more timely and informed decisions. The new connected world will bring some fundamental changes to the society and consumers. Here is the list of 10 insanely useful IoT products that you must have to try to change your living and to enhance your convenience. Wearable technology is the hot topic of discussion. Wearable devices are evolving, and it is expected that shortly they will become a more integrated element of IoT with the wide range of features for customer convenience. Due to the emergence of IoT and an explosive demand for wearables, giant companies are making substantial investments to build some outstanding and remarkable IoT wearable technology applications. Fitbit is first original IoT product which hit the market making its debut in 2009. This fitness technology can track the caloric intake, steps taken; sleep cycle, cardiovascular levels and other activity of the user wearing it. Fit bit wirelessly transmit this information to the internet and apps which you can load on your smartphones and computers. The fit bit extended the brand by adding a smart scale. The Aria smart scale tracks the mass index, a percentage of the body fat and total weight of the person wearing it. Then the scale automatically transfers the data to the graph like an application to highlight everyday variances. Wearables devices have potential to transform the way we are living our lives. These electronics are the devices that consumer can display on the body for fitness, health and entertainment purposes. These devices are highly energy efficient; utilize the ultra-low power and small in size. Helmet concussion sensor is one of those devices which can help football player to play well and prevent concussion. There is a growing awareness that repeated concussion results in permanent brain damage. Recent research revealed that there is a strong link between concussion and neurological issues. Player safety is emerging as a major concern in sports like football and Hockey. That’s where the role of the product Shockbox comes into play. Shockbox is a sensor that the player can attach to a protective helmet. This sensor makes the use of an accelerometer measure the effect of a head impact. Later on, it sends such information to the Smartphone of the parent, coach via Bluetooth and allows him to make more critical and better-informed decisions. It is a frontline assessment device which warns parents, athletic trainers and the coaches about concussion. This cutting-edge technology inside the helmet allows the players to stay ahead of the curve in safety monitoring. The traditional idea of moving around with a bunch of keys is inconvenient, and headache of losing key is just unbearable. Your house full of gadgets can be a prime target for the burglars, So extend the gadgetry to lock its self. It’s exciting to know that IoT products have changed the pattern of living and modified our routine tasks. Now you can automate the process of finding your keys, unlocking the door and turning the light on and off with sensors and a handful of intelligent software. Now you can manage your property remotely with recently released Remote Lock 5i. The Remote Lock is successfully replacing the existing locks and allow you to control your door lock over the internet. This innovative and creative smart lock is the most useful IoT product which is revolutionizing the world of lock management system. It offers you Wi-Fi connected security and easy provision as you can connect it to the existing WiFi router. Remote Lock 5i can incarcerate home security in the palm of your hand. The internet of thing is transforming every corner of your life. IoT products are giving us greater control, offer insight into resource consumption and streamlining the business processes. It is providing a better-connected world with the strong connection between systems, people, and environment. In residential spaces, the concept of smart home is considered to be the revolutionary ladder of success, and it is predicted that the smart home will become as common as Smartphone shortly. Smart home products promised to save time, energy and money. Whether you are a homeowner searching best products to start living a connected life or you are a business leader looking to take your company to the next level, Belkin’s WeMo Home automation system is just for you. This smart home product has potential to monitor and control WeMo-brand smart switches and plugs, LED light bulbs, motion sensors or lightening devices, all with the help of the browser or Smartphone applications. You can manage everything with the help of Belkin’s free cloud service. All WeMo devices have their channel which you can use to create a link between the device and online services. The reality of IoT is that there is an endless stream of opportunities when you start making connections between things and humans. From security implications to logistics more and more devices are joining IoT and its potential effect on our daily life. But what about the way we play and entertain ourselves? This interconnectivity is changing our game and leisurely habits. Amazon Echo is a device that brought smarts to the speaker world. Alexa, Voice AI of Amazon brought echo to life. At first, it was considered to be the gimmick but Amazon being vocal about the improvement in Alexa played a vital and voracious part of the clever home puzzle. Amazon Echo is the greatest example of the product that provides real value to the end users. You can control it through buttons or voice on the remote, touch on the Amazon Echo app and voice to the speaker. This minimalist and modern black cylinder is nine inches tall and three inches in diameter. The Amazon Echo works through its voice assistant Alexa. Users can talk to Alexa to play music, to make calls or set the alarm. This smart device is extremely convenient and useful for cooking, forecast and many other use cases. The worst part of the day that irks you is the early morning screech of the alarm. But what if you can sleep well with soothing white noise and your phone and tablets are charging? BEDDI is a better and more gentle way to wake, as it wakes you up with a simulated sunrise light and the music of your own choice, weather and traffic updates. Such host of features is making the device handier. Beddi gets all these smarts through your phone as you can plug it to charge at the same time. You can customize your alarm with sounds, and music at different volumes for specific days of the week. You can integrate the device with Spotify for streaming the music from Apple Music and Google Music as an alarm. Beddi works precisely to add more convenience in your life. It features are easy to configure and easy to operate. This new and smart alarm clock is the best and complete wake-up experience for you. IoT in healthcare is still a sleeping giant. The concept of a connected healthcare system and smart medical devices has an enormous potential not for the companies but also for the well being of people. IoT in health care has massive potential, and it is aimed at empowering people to live the healthier life than ever before. As compared to young the health tracking of an older adult is much more difficult, and it becomes even more difficult if they are living on their own. Now lively is an IoT device that allows you to monitor the health of your loved ones, even if they live away from you. This smartwatch tracks the steps taken as well as other kinds of daily activities. There is an emergency assist button which alerts the lively to call in and check if everything is ok. This emergency feature is great on its own but lively offer sensors that you can place in your home so the system would be able to learn normal habits of the person you are monitoring. We are living in the era where fridges are connected to the internet and cutlery is Bluetooth enabled. The concept of smart kitchen and smart kitchen devices are now commonplace in an internet of things revolution. A host of cool connected accessories and appliances are here for grab. From smart stoves to forks and plates everything can help you to control your kitchen. The kitchen is considered to be the best place of a house party and fridge is the center of a one big house party which is our lives. This is the reason why smart fridges are known as the family hub. Samsung has introduced smart fridges each one with a giant touch screen that display the calendar and let the user play music and order some new groceries if they are running low. Refrigerators are considered to keep food cold, but Samsung has taken this old-school product to the next level. Other than making the list of grocery needed it keeps track of food freshness and temperature and display the weather report on weekly basis. The internal cameras let you see inside the fridge even if you are not at home. Internet of things is the concept of networks, or you can call it a true technology enabled the network of all networks. The Dash button is the simple device which brought online shopping at your fingertips. Now with just a simple press of a button, you can order whatever you want straight from your Amazon account. It is a Wi-Fi connected device which you can use to order the products of your own choice. You can place such smart devices everywhere in your house but according to me placing it in a kitchen will make more sense. So if you need some coffee of paper towels, the products are just a click away. Big giant companies are continuously pouring their money into the internet of things, and IoT connected cars are one the most significant area of interest for the investors. Investing in IoT concept cars is considered to be the most significant business opportunity for the automakers. In short connected vehicles are the bread and butter of Internet of things automotive industry. These vehicles are considered to be the most visible and familiar example of an internet of thing technology. Automakers showcase their vision for future production models in concept cars. These cars offer an innovative and realistic example of features which you can expect in future. Concept cars are the vehicles that are equipped with internet access. AT&T connected cars in the automobile industry are working with top car brands to deliver a car provisioning safety, enhanced diagnostic and on the go entertainment. The concept of IoT is pervasive, and it is all set to touch and transform every facet of our life more profoundly than has the internet. Either it is home, office, City Street or playground IoT products are giving us greater control from the door locks, lights, and appliances to the resource consumption habits and business processes. In this better-connected world, we will be able to enjoy more convenience and to make more accurate and informed decisions to save our lives, money, and even the planet. So be aware of the beautiful possibilities of this technology and stay up to date to on IoT progress to reap the benefits. The post is by Essa John a passionate blogger these days working as a content administrator at The Runner’s Band! « How To Kick Start Your Career With Hadoop And Big Data Training?